Leslie Kane is the Senior Director of Medscape's Business of Medicine site. She is the former editor-in-chief of Medical Economics magazine. Ms. Kane has served on the Board of Trustees of Valley Hospital in Ridgewood, NJ. She has a master's degree in clinical counseling. Ms. Kane has held corporate positions in marketing, business reengineering, and advertising. Resident Suicide: A Tragedy, and What Can Help? A compelling documentary examines the pressures and dangerous forces that lead residents and practicing physicians to doubt themselves, make errors, and take their own lives. Medscape surveyed more than 3700 physicians to find out whether they had been sexually harassed by patients. Physicians described what happened and how they dealt with it. Dr Susan Strauss, author and expert witness on bullying, harassment, and discrimination, comments on Medscape's Sexual Harassment of Physicians Report 2018 and Sexual Harassment of Nurses, NPs, and PAs 2018. Medscape surveyed more than 6200 clinicians to find out whether they had been sexually harassed in the workplace, how they responded, who the perpetrator was, and how it affected their well-being. More than 20,000 physicians told us the value of their assets, how they spend and save their money, and how much debt they carry. Medscape's 2018 Physician Compensation Report provides the most recent physician salary data from nearly 20,000 physicians across 29 specialties. Malpractice lawsuits disrupt physicians' lives; and for many, lawsuits change the way physicians feel about patients and how they practice medicine. Some say that if physicians made fewer errors, there wouldn't be malpractice suits. Others say that lawsuits are about money, not errors. Will patient rapport help avert a lawsuit? More than 8500 physicians told us where they'd go or would send their family members for treatment or procedures for serious and complex cases in nine different clinical areas. Physicians described their well-thought-out plans for the best way to replace or tweak the Affordable Care Act. A look at the current state of electronic health records and how physician attitudes have changed (or not) over the past few years. The new ability to code for chronic care management can help physicians increase income, but there are key steps you need to take. Is Religion Why Docs Are Against Assisted Suicide/Dying? A large percentage of physicians who are against assisted suicide, mentioned religious beliefs as a factor. What impact does that have? More than 21,000 physicians told us about the ethical dilemmas that they confront in their practices, including issues around end-of-life, futile care, and pain medication. Do Patients Care About Your Sunshine Act Payments? The Open Payments data is available; and many physicians are worried about it. It seems that patients are generally less concerned. Can a Good Doctor Just Say No? Physicians are under increasing pressure to lower healthcare costs, but patients want treatment. Whatâs the answer? The 'A' Word: Are Doctors Arrogant? Physicians' personalities are under the microscope as patients post reviews of doctors on numerous Websites. Are some patients being too harsh? More than 4600 physicians told us whether they preferred being employed or being in private practice. Each has pros and cons, but some were stronger than others. Employed Doctors Report: Are They Better Off? Many doctors choose employment because they think they'll have a better work-life balance, and don't have to worry about running an office. Did they make the right decision? Many people hold subjective, personal definitions about when someone can be considered medically dead. They range along a continuum. In this exclusive survey, almost 1400 physicians who were sued tell why it happened, what it was like, how it worked out, and how their lives were affected. Close to 22,000 physicians gave some surprising answers about their earnings, hours worked, satisfaction with their compensation, and how their practices are changing. As more health plans have high deductibles, patients are responsible for more of the bill. Physicians often have a tough time collecting these payments. Here's what to do. A noted risk management expert describes what steps medical practices should take in order to reduce malpractice and compliance risk. Doctors are excited when they get a new job, but there may be elements in the contract that could zap them when they least expect it. An expert in physician contracts tells what to look out for. Many physicians have problems using their EHR and think that they chose the wrong one, or that there's something wrong with their system. An EHR expert advises what to do if you're in that situation. Trends regarding claims payment, broader financial responsibility for physicians, and 'big picture' thinking can help physicians manage their practices more profitably. More than 24,000 physicians told us how they feel about the major wrenching ethical issues they face during their practice. Read about the quandaries that grip them most tightly. Dr. Susan Turney, CEO/Chair of the Medical Group Management Association, describes trends in medical practices, challenges that physicians need to face, and how to make their practices profitable. Medscape Business of Medicine interviewed Dr. Jeremy Lazarus, president of the American Medical Association, who provided insight into pressing issues for physicians. Many docs are confused about EHR certification and meaningful use. Dr. Karen Bell, chair of the Certification Commission for Healthcare Information Technology, sheds light on the key issues. As much as 20% of revenue is lost because of poor reimbursement practices. A certified healthcare consultant tells how to find and stop losing reimbursement that you've earned. Product updates, design flaws, and bugs in an EHR can make a bad situation worse if a doctor is sued. Surprisingly, the vendor is not liable for the system problems. The onus is on the doctor. 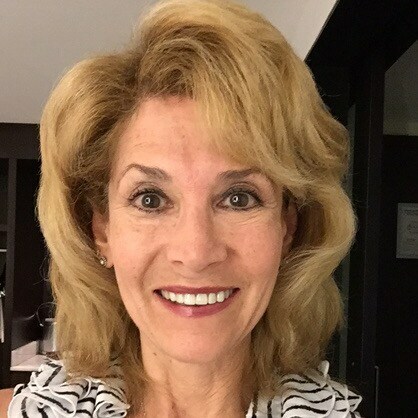 Dr. Deborah Walker Keegan, author, speaker, joins Medscape Business of Medicine. A Medscape poll reveals doctors' strong opinions, both pro and con, on the arguments taking place before the Supreme Court, which will decide the fate of the individual mandate element of the ACA. Muscles are no laughing matter, except in our cartoon caption contest! Check out the robust sense of humor of our winning caption writers. It's good to laugh about the shrinking dollar because it keeps you from crying, say readers. Check out the clever and pointed captions in Medscape's latest cartoon caption contest.